She'd dreamt for years of being able to help decorate the White House. Her husband and friends helped make it happen. AMELIA, Ohio -- They look like Muppets, according to parts of the internet . Or maybe the hall leading to a video game boss battle. 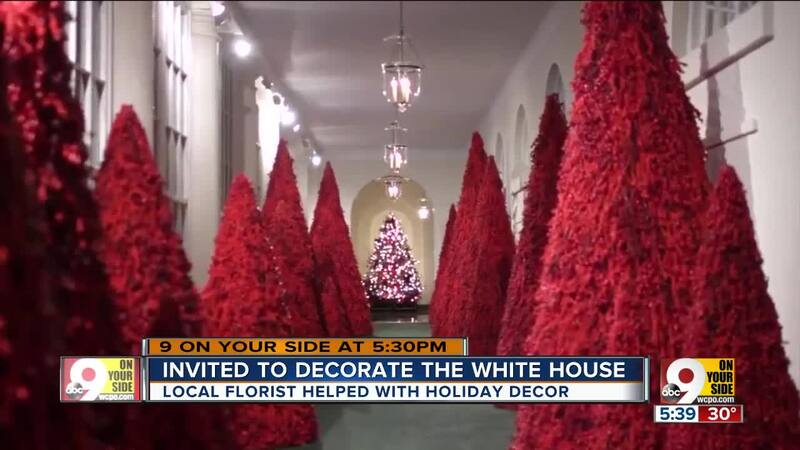 The 45 red berry trees lining the White House's east colonnade instantly went viral when first lady Melania Trump unveiled the holiday decorations on which she'd reportedly worked since early August. Although the complete array of decorations includes more traditional choices — green trees with white and gold ornaments, a gingerbread National Mall and strings of blue-white lights — attention lingered on the red trees, which some joked lent the holiday a sinister tinge. 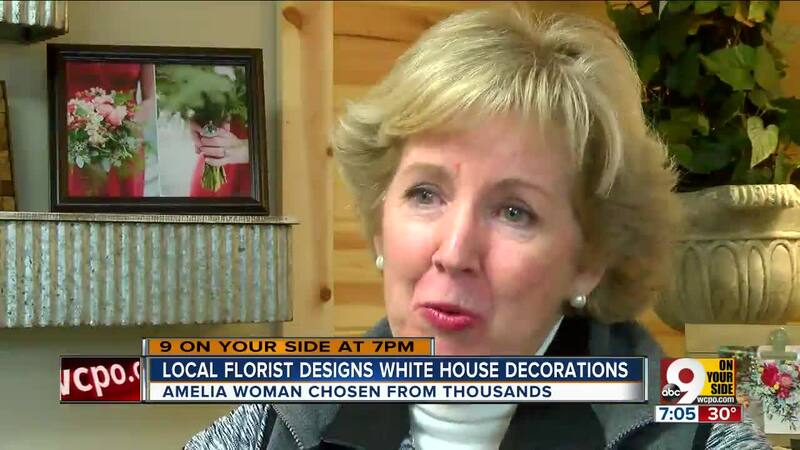 They're not that florist Vickie Wenstrup of Amelia, Ohio said Wednesday. For her, they represented a once-in-a-lifetime chance to decorate the most famous house in the United States and a sweet Christmas surprise from her loved ones. That they're unconventional suits a woman who advertises herself as "not your ordinary florist" just fine. "It's something I've always wanted to do," said Wenstrup, who runs Amelia Florist Wine and Gift Shop . "I just never dreamed I would do it or get to do it." Few people do. More than 7,000 applied to be part of the 2018 decoration effort, and only around 100 were chosen. Wenstrup's husband, Bruce, applied on her behalf in secret and asked dozens of her customers to write letters to the White House vouching for her. She only learned of the year-long effort when she was accepted at the end of October. "I started reading the first letter, and then I realized what was going on, and I was crying," she said. The thoughtful gesture is characteristic of her husband, she added. It's difficult to think of any way to pay back such a special gift. Visitors to the White House will be able to see Wenstrup's work throughout December. According to the first lady's Twitter, the theme of all the decorations is "the heart and spirit of the American people." And, for the record, she endorsed the unique trees wholeheartedly. "We are in 21st Century, and everybody has a different taste," Trump said Wednesday at a town hall . "I think they look fantastic. I hope everybody will come over and visit it. In real life, they look even more beautiful."